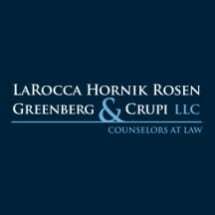 At LaRocca Hornik Rosen Greenberg & Crupi, LLC, our team of attorneys exclusively concentrates on divorce and other domestic matters. Representing clients throughout New Jersey in divorce, child custody disputes, adoptions and numerous other family law matters, we are well-equipped to handle the most complex and sophisticated cases. Although there are numerous other lawyers and family law firms out there, we offer a different approach to matrimonial cases. We are a team of mediators, trained parent coordinators and proven litigators who can provide clear counsel and strong representation. Instead of false promises, ultimatums and confusing explanations, we work closely with clients to ensure understanding, a sense of personal agency and to instill confidence in those we serve. Family law disputes can be incredibly emotional. We understand the delicate nature of these cases and can offer perspective and support to those trying to manage the emotional, financial and legal challenges before them. Our attorneys have been recognized by Super Lawyers as well as by others in both the local and legal community. Whether you and your spouse have decided to end your marriage, you wish to relocate and need to adjust your parenting time agreement, or have questions regarding your options before filing for a divorce, contact LaRocca Hornik Rosen Greenberg & Crupi, LLC to schedule a consultation. Our office is located in Freehold, and we represent individuals and families throughout the state.